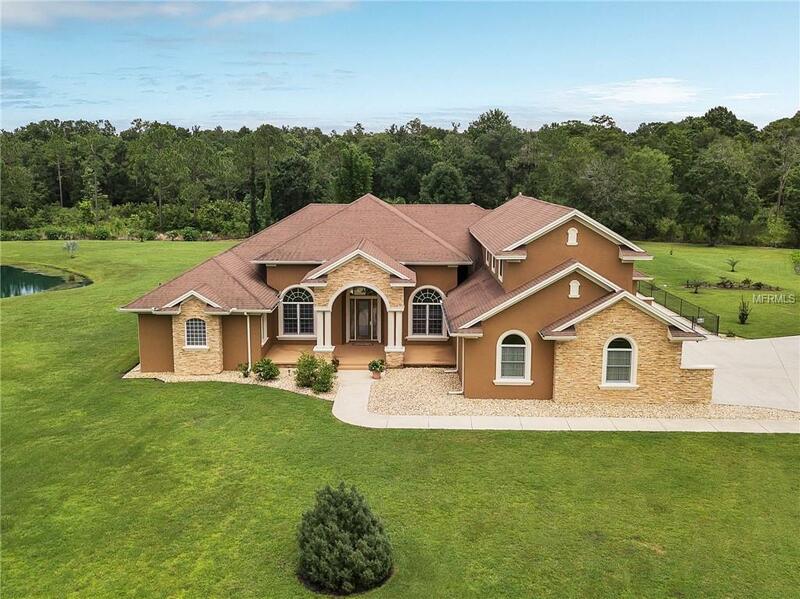 Come experience the peace and tranquility of Florida acreage with the convenience of being within minutes of all Florida has to offer! 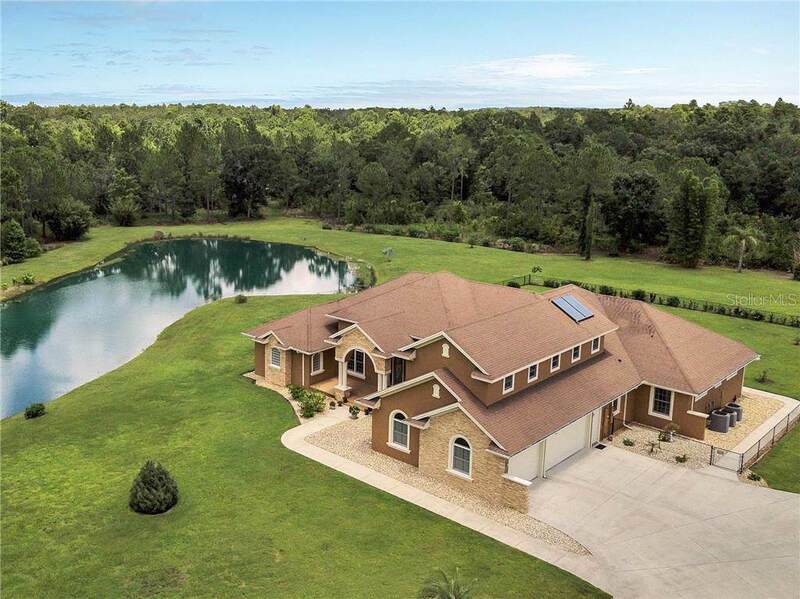 This spectacular custom built home on 20+ acres with superior craftsmanship and incredible thought is located in a gated, equine friendly community on a nature preserve allowing the enjoyment of the natural surroundings of nature trails, ponds and waiting to be explored on your horse or ATV. This private compound with all the warmth and comfort of a 4 bedroom 4 1/2 bath home has its own private pond perfect for Bass fishing. 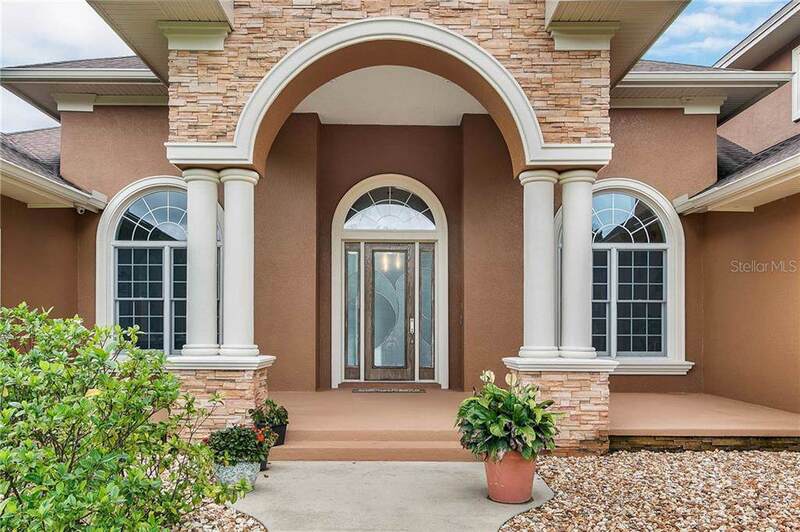 Entering the front door of this well thought out home, you will be invited to come in, relax and enjoy watching the wildlife in their natural surroundings through the many Anderson impact resistant proof windows. The well appointed master retreat invites you to come and relax after that hard day. The open concept is perfect for entertaining including a chefs kitchen complete with Wolf appliances. The upstairs room is great for a theatre room, game room, office or can be converted into a mother-in-law suite or two additional bedrooms and was even plumbed for a kitchen. 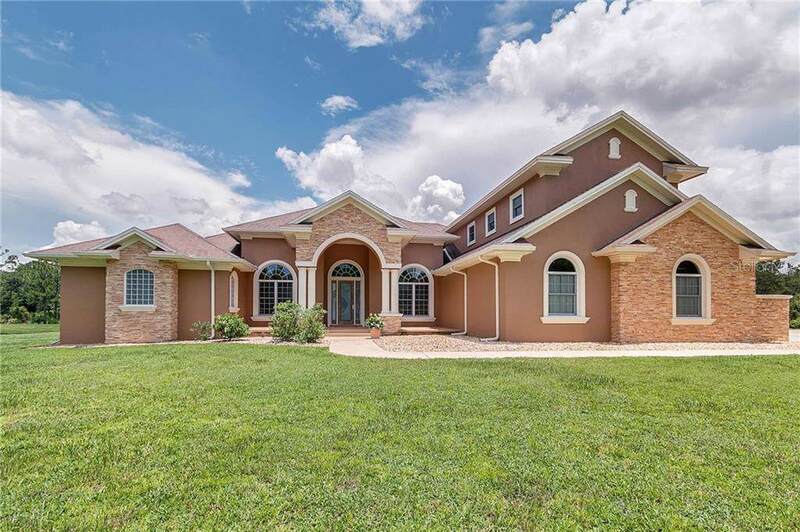 This is country living at its best and is a must see if you want privacy, yet close enough to everything Central Florida has to offer. Ask for the additional feature list as there is not enough room to share. All of this perfectly situated just 10 Minutes from Disney World and area Attractions, close to major roads and the airport. Call to schedule a time to see this great home!